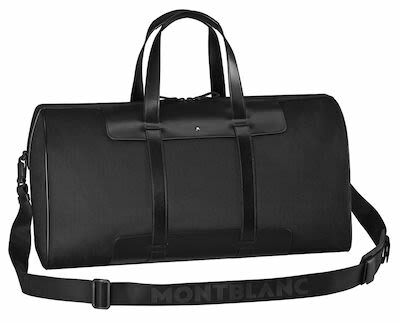 Cabin Bag 55 made of nylon fabric with fine rib structure, resistant to stains, water and scratches, voyage-proof, combined with soft leather, jacquard lining with Montblanc brand name, Montblanc emblem with ruthenium-coated ring, 1 main compartment, 1 zipped pocket, Document Wallet included. Colour: Black. Dimensions: 55 x 29 x 27 cm.